To cop means ‘to seize’ or ‘get’ and, always followed by out, it means ‘to avoid a responsibility’ or ‘to back out of a promise.” Unrelatedly, you might have heard that cop is an informal word for a police officer and, in this sense, the word is sometimes used figuratively about a person who wants to regulate an activity or behavior. In UK slang, often in the expression “a fair cop,” it means capture and, always in the negative (most often in the expression “not much cop”), it means that something isn’t much good or isn’t of much value. Gillian was furious to discover that Andy had copped the promotion she wanted. You promised you'd do it; you can't cop out now. Brad was speeding and got pulled over by a cop. What are you wearing? Someone should call the fashion cops about that outfit! The police caught the burglar with the stolen goods on him, so he can't say it's not a fair cop. I don't know why there was so much hype about that film; personally, I didn't think it was much cop. Now archaic, although you might find it in the names of some places or in some dialects, in UK English, cop used to mean the top or summit of anything and, by extension, the head or the crest of a bird’s head. From this meaning developed a related meaning, which is still used, as a conical mass of yarn wound on a spindle. Cop dates back to the very early 18th century. It comes from a northern English dialect, where it meant ‘to seize or catch,’ much like the Scots verb cap means ‘to seize,’ and an obsolete northern English word, cap, meant ‘to arrest.’ Its origin is uncertain, but some linguists think it came from the Old French caper (to take), from the Latin capere (to take) and the Proto-Indo-European root kap– (to grasp). Others think it may have come from the Dutch kapen (to take), which itself can be traced back to the Old Frisian capia (to buy), and is related to the Old English ceapian (cheap). 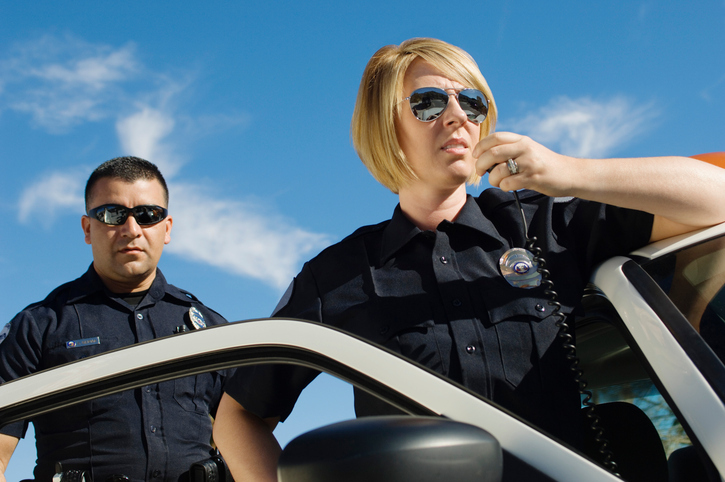 The noun cop, as slang for a police officer, dates back to the mid-19th century. It is a shorter form of copper, which appeared a few years earlier, and comes from the verb. The expression cop out dates back to the mid-20th century, and was originally US slang. It probably evolved from cop a plea, which dates back to the 1920s, and uses the verb cop with its original meaning, as well as being related to the police sense.